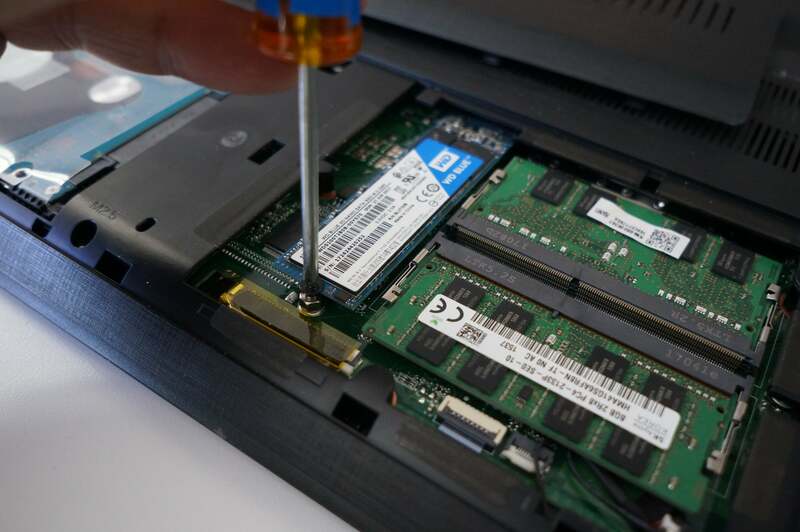 There is one upgrade that will universally improve a laptop’s performance: adding an SSD. This is a particularly attractive upgrade for budget laptops, which typically come with a hard drive. That’s the case with the extremely popular Acer Aspire E 15. This laptop has been the top seller on Amazon for months and months. It’s easy to see why: for $350 (and below $300 during the holidays), you get a 7th-gen Core i3 processor, 4GB of DDR4 RAM, a 1TB hard drive, and a 15-inch 1080p screen. It’s a killer deal for those on a budget—but not exactly fast. One caveat: While we’re sure your laptop would benefit from an SSD upgrade, it may not actually be possible with your particular model. We recommend searching YouTube for videos on how to open up and upgrade your laptop before you buy anything. We used the 1TB version of the WD Blue 3D, not the 500GB version shown. Both use the SATA interface. Before you get all excited and run out to buy an M.2 drive, you should know that not all M.2 SSDs are the same. In fact, they vary so much so that it’s possible the drive you buy might not work at all without making changes to the BIOS. 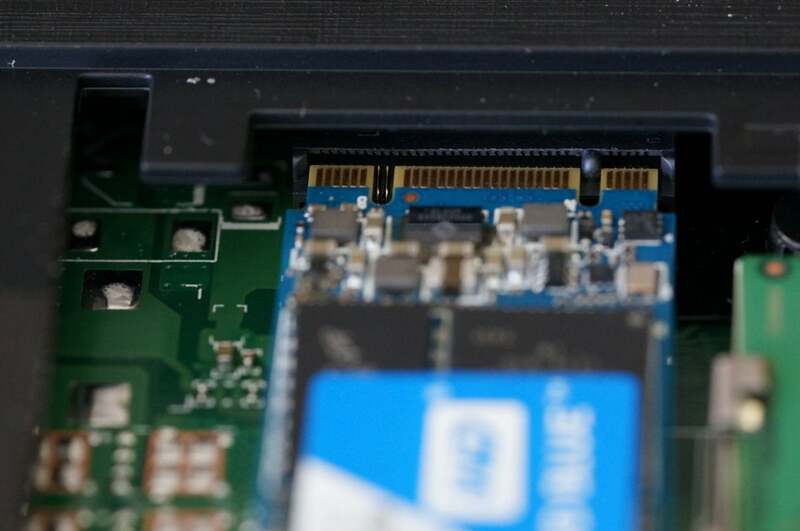 Even though they use the same connector, M.2 drives can support either the older SATA interface or newer PCIe interface. PCIe can be far faster and is preferred, while SATA is more compatible with older machines. For our Aspire E 15, we intentionally picked the WD Blue 1TB SATA SSD for its compatibility. The M.2 slot in the Aspire E 15 does support PCIe drives as well as SATA drives but it will not boot to a PCIe device without changing from UEFI to legacy BIOS support. The difference is that UEFI is modern and features Secure Boot, which theoretically guards against malicious attacks by requiring signed drivers and a signed OS. Another reason you may choose a SATA M.2 over a PCIe drive is price. 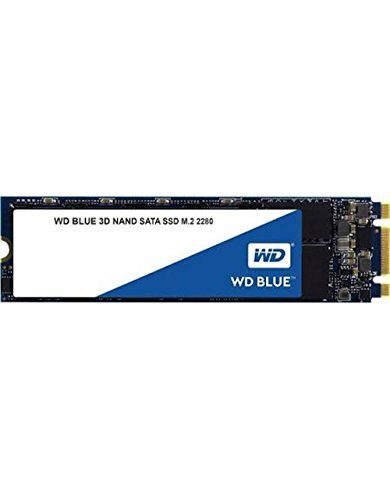 SATA M.2 drives tend to be far more affordable than PCIe drives.The 500GB version of the WD Blue drive we used was going for $110 when we wrote this. A 512GB WD Black M.2 PCIe SSD was going for $173. Finally, while PCIe drives can offer 1.5x to 3x the performance of a SATA drive, a lot of people would be hard pressed to tell the difference in most applications. The slot for the M.2 drive is right next to the RAM. You’ll need to remove the screw before you mount the drive. 2. Next, access your laptop’s innards. On the Aspire E 15, there is an obvious access door on the underside that’s held in place with just a few screws. 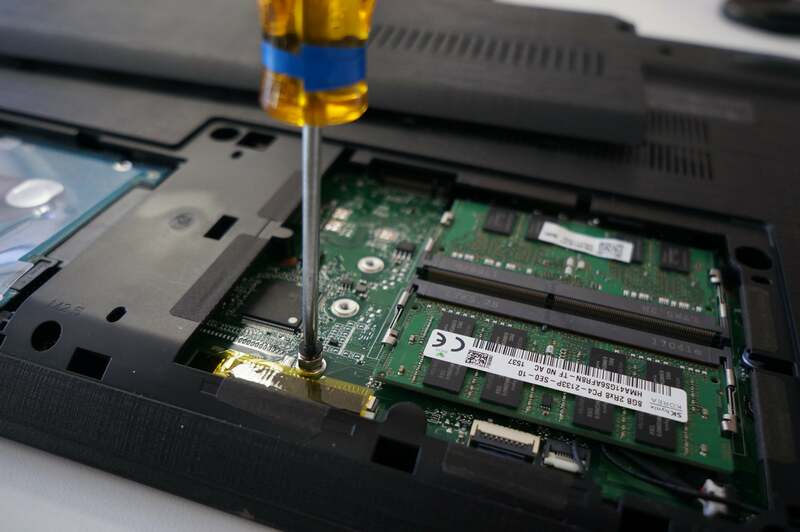 If you are uncertain how to access your laptop’s parts (or even if you can), refer to the manufacturer website or manual or Youtube. 3. Now, get a small magnetic Philips-head screwdriver and carefully remove the screw in the stand-off. This stand-off is needed to hold the drive in place. Exercise caution because if you drop that screw and it rolls into your laptop’s innards, you’re in big, big trouble. Our laptop came with the mount and screw in place, and most should, but we have heard of a laptop missing the mount and screw. If your unit doesn’t have one, you can get one on Amazon for less than $10. The mounts are usually universal. That’s a crazy amount of money for one screw, but unless you’re willing to A-Team it with Duct tape and a more generic machine screw, this might be the easiest way. 4. The SSD slots into a roughly 1-inch wide opening. Note the notches on the SSD and the corresponding nub/s in the slot. Certain M.2 drives have a single notch on either the right side or left side of the module, which indicates a B- or M-key drive, respectively. A B key means it can operate at up to x2 PCIe or in SATA; an M key means it can operate at up to x4 PCIe or SATA. 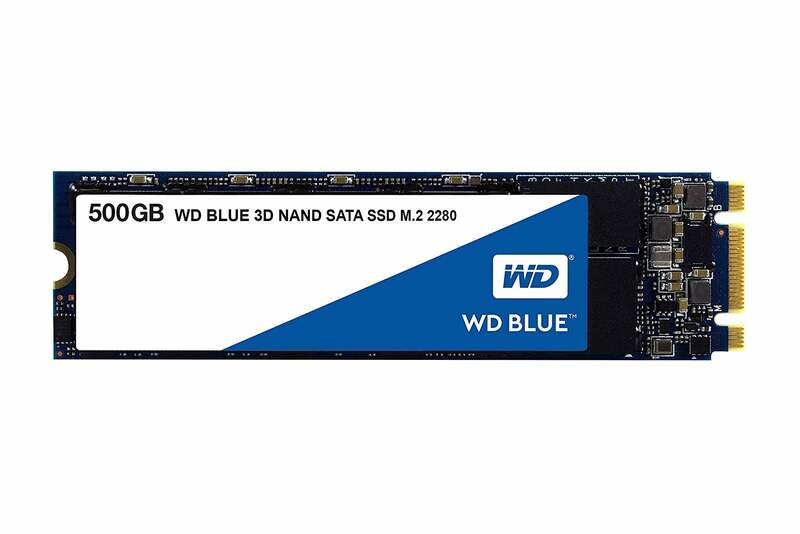 The WD Blue SATA SSD we used actually has both M- and B-key notches. These days, two notches usually indicate the drive is SATA, but you should still verify before making a purchase. The Acer notebook we are upgrading has a single plastic nub on the right, meaning it can accept faster x4 PCIe drives (which we verified) as well as SATA drives. The M.2 WD Blue SSD we used has two notches, which usually means it’s a SATA drive. 5. As with RAM, insert the M.2 card into the slot (usually at a very slight angle) and then tilt it flat. Now with a magnetic screwdriver (so you don’t lose the screw) install the screw back into the mount while holding the drive flat. 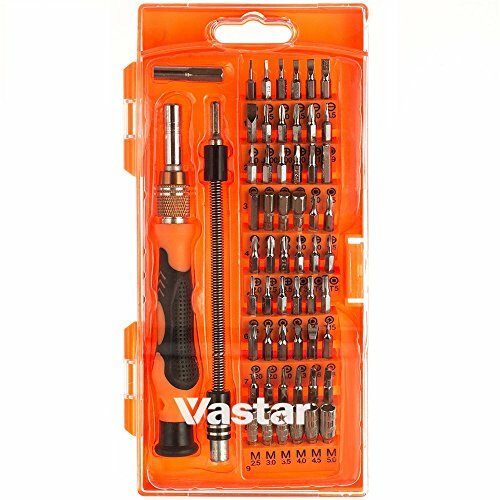 Use your magnetic screwdriver to return the screw to its stand-off to hold the M.2 drive in place. 6. With the drive installed, you’re now ready to restore the backup of Windows that you created in the first step onto the new drive—again, refer to our guide. We recommend unplugging the hard drive and removing it so you don’t inadvertently wipe out your original drive. 7. With the image restored, boot into Windows and prepare to be amazed at the responsiveness of your laptop. 8. What to do with your hard drive? Keep it as a backup of your system. Or put it to use as a secondary storage drive—we offer some suggestions for storing Windows 10 libraries on a separate drive. Read on to see just how much that SSD helped.